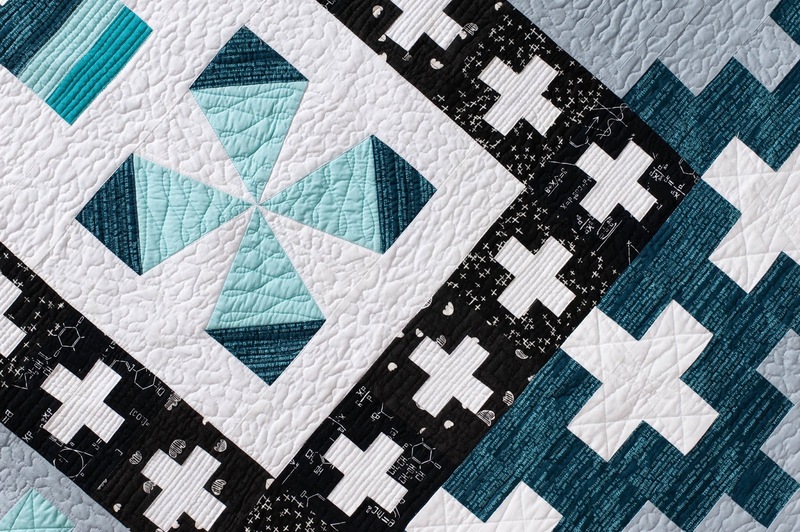 I am so excited to share some professional pictures of my version of the Modern Plus Sampler today taken by Amy Garro through her new company Quilt Photography Co.! You probably have heard of Amy's work as a quilter through her quilting business name 13 Spools (and her book Paper Pieced Modern). You may not know that in addition to being an awesome quilter and pattern designer, Amy is also a fantastic, professional photographer. For many years, she has her own studio and photography company focusing on family portraiture. You can check out some of her work at her company's website Indy Family Photo. Amy has recently started a new company to combine her love of quilting and photography to offer a much needed quilt photography service through her new company, Quilt Photography Co. Her website says it best, "You make the quilts, we'll take the photos". When Amy launched this new business, she selected a few quilters to be Quilt Photograph Co Ambassadors. I jumped at the chance to help spread the word and see Amy work her photography magic on my quilts. Disclosure: I applied to be an ambassador of her company because I such a fan of photographic work. Amy provided me with the photographs of the Modern Plus Sampler for free. All opinions are completely mine. Nowadays, jurying of many of the larger shows (like QuiltCon and Paducah) is based on the photograph of the quilt. Your quilt could be the most mind-blowing quilt, but if you can not take a good picture of it, then the quilt might not make it into a quilt show. 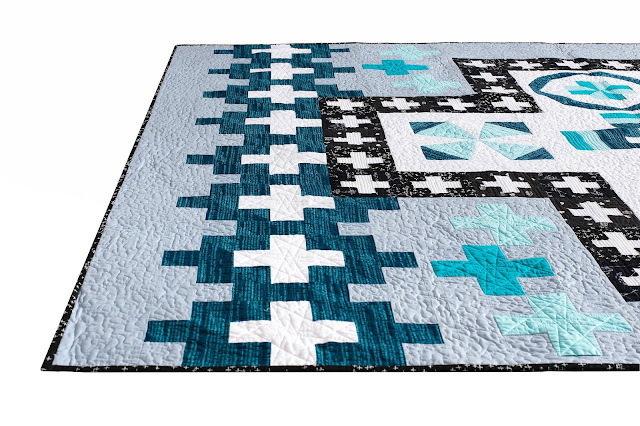 Amy provides crisp, color balanced flat shots of the quilt. Amy also takes detailed pictures of the quilt top, quilt binding, and styled shots of the quilt. Her photographs are perfect for quilt show entries, books, and even as a keepsake to remember the quilt long after it has been gifted away. What do you think of these photographs? I'm blown away how beautiful Amy made my quilt!! If you would like more information on the packages and prices of the Quilt Photography Co, you can find them right here. Fantastic photos! And I really love this colour palette. What is the name of the colour of the background fabric if you don't mind me asking? The photographs are stunning and it's great to know that she does flat shots that are good for submissions. Does she do styling (with props) at all, too? Thank you for such a sweet post! I absolutely loved working with this quilt; it's incredibly vibrant and the quilting was stunning!! 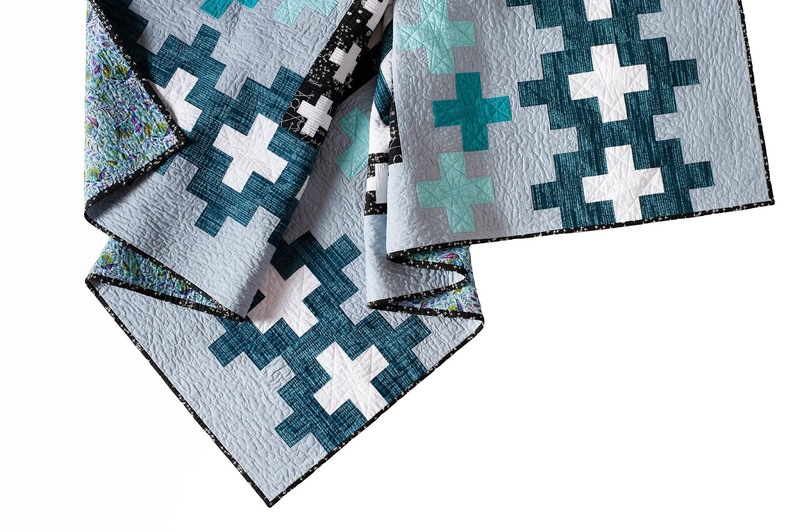 It is so nice to see the look professional photography brings to quilting. I love that quilting shows well and the motifs are crip. The photos truly make the quilt look stunning...which is really is. No kidding! These pictures are fantastic! These pics are truly remarkable! 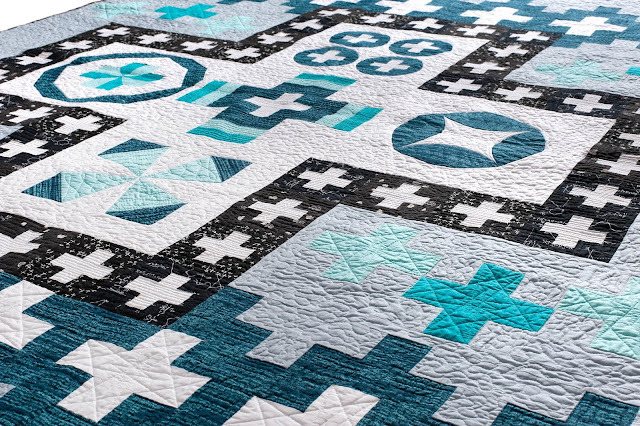 I love the flat view of the quilt allowing the details of the fabric and quilting to show perfectly! What a difference these pics are!! Amy did a wonderful job of making your quilt look as gorgeous and stunning as it is!!! Great pics, and I am blown away by your quilt!!!! The photos are amazing and it's good to see what a good set of photos can do for a quilt. Wow, those quilt photos are amazing! Great job! They are beautiful pictures of a gorgeous quilt! Beautiful quilt and the photos do it justice. 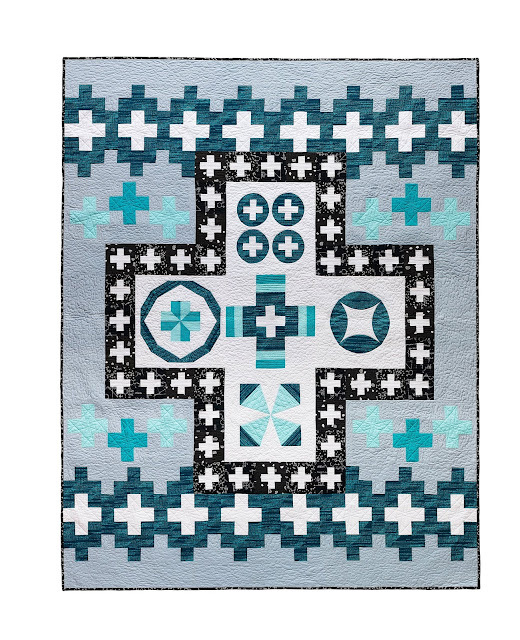 Quilts are hard to get right sometimes, some color combos more than others. She does nice work. 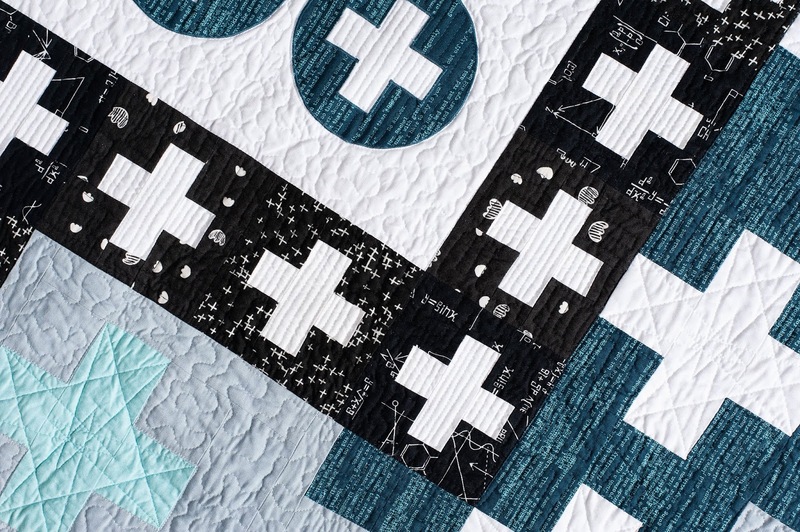 These are lovely photos of a great quilt/ I really like the clean white background in all the shots - impossible to get at home. what a beautiful set of photos! they take your quilt to a new level! Wow, Amy did a fabulous job on the photos! 40th Birthday Celebration Coming This Friday!